If you are like me when I retired, you do “need” to work. Even if you don\’t “need” to work for the economics of it, you still “need” to work for the sense of meaningful involvement. Your financial survival as a retiree likely depends on some combination of retirement accounts, retirement savings, Social Security, rents & royalties. When that total figure comes up short, it is just a fact of life that many of us retiring Boomers at some point will begin to consider adding carefully chosen part-time work to balance our retirement budgets. This is not a negative or otherwise pessimistic reality. Working after retirement can actually be a life benefit. It can help keep us involved in worthwhile pursuits, engaged with people, grounded in practical matters, and otherwise active, healthy and lively. During our long-term careers as full-time employees, we gave up our own freedom in order to meet the schedule and hour expectations of our employers. After we retire, we more likely have no predetermined schedule beyond life demands, family demands, and possibly a schedule of travel. As a retiree you are probably ready and eager to enjoy freedom as the earned aftermath of your past career. Any type of work that you would consider engaging in next will need to fit in with this sense of freedom, with a good balance between retirement and work. Establishing a well-designed plan to accomplish this is an active process. But there is very good news to consider. The work marketplace has significantly changed from when we started working all those years ago, transformed by the Internet. This completely changes the possibilities for combining sustained work with a flexible retirement lifestyle. If You Wanted an Online Job, How Would You Find One? Given the vast interconnectivity and the “any time, any place, any person, any pace” of the Internet, online job opportunities abound. If you are a retired Boomer out there looking for an online job, you can be very sure that there are thousands of businesses, in America as well as in a range of countries around the world, that are out there looking for you. The key is to know where to look. Also key is knowing what you want to do and what you will be good at doing. This is where having some guidance is crucial. The obvious route, as with everything else online, is to start with a Google search for the type of work you want to do. As a word of warning… some of the boldest work online ads that show up in search results may seem almost too good to be true. And, in fact, they are. These ads, sometimes promoting jobs with Google or Facebook and the like, are not actually posted by Google or Facebook but by third-party businesses that want to sell you something, not pay you something. Their claim, of course, is that if you do purchase their service, you may be able to earn money as a result. If you are asked to spend money in order to make money, move on. But real online work for pay is definitely available, even plentiful. In fact, online work agencies claim that the online contract workforce is growing at twice the rate of the standard workforce. According to oDesk, one of the largest online staffing services, more than 90% of US firms now use contract talent on a regular basis, and are spending $120 billion on this type of expertise each year. Another major online job service, eLance, reports from their survey of small businesses that 80% of small businesses plan to hire up to 50% of their workers as online contractors. Another online agency claims that monthly demand has surpassed supply by over 30%, leaving thousands of the contract jobs in their job bank unfilled. And all of this is just in reference to one type of option for online work… contract work. There are others. Determine who you are as well as what you do best. Re-explore your personality type and temperament, as well as your interests, values, capabilities and traits, to identify a next direction of work that is a best fit for you and that will enhance your life ahead. Include any and all of your Internet skills, communication skills and interpersonal skills as assets that can and will make you a valuable contributor for online employers. Develop a clear idea of how much time you want and can afford to work, and when. Keep this guideline in mind as you search and select the particular work you will do next. Read books and key resources and apply their guidance. This will save your valuable time and lead you in a direction that will benefit you, both financially and in terms of your finding work that you find engaging and fulfilling. Learn Internet search strategies that will yield the kind of results you want. Given current SEO (Search Engine Optimization) techniques, many of the search results that appear on the first page of your search are not actually job or work opportunities, but are so-called “investment opportunities.” Seek guidance on how to search in ways that will direct you to opportunities that are real. Set aside time to prepare and organize your online work environment. Realistically assess your equipment and resources, and add to them as needed. Create a wonderful workspace for yourself where you can be productive. Strengthen your Internet, search, file management, and software use skills, including Word, Excel, PowerPoint, and other tools of your future trade. If you do not already have all the skills you will need well in hand, take classes, read books, complete tutorials, and otherwise gain the mastery necessary for you to be an “ace” in your new domain. Dedicate a minimum of 10 days to conduct a systematic job-search. Start by focusing on contract, outsourced and freelance employment websites (consult the book “Shifting Gears to Your Life & Work After Retirement” for direct links to dozens of these sites). Work on your job search as though it were its own 9 to 5 job. Take notes. Follow up on key leads. Notify your network with the specifics of your plans. Include in your work-search network former as well as future colleagues, in your local area as well as beyond. Also connect with family and friends. Clearly define and communicate, by e-mail, Facebook and other means, the specifics of what you will be doing, what services you will provide, the costs for these services, substantive evidence and samples that demonstrate your skills and abilities in these areas, and descriptions of the types of job assignments you are seeking. Online may be your best next option as a workplace. As you envision yourself at the start your work day, consider the differences of working online. How would a morning spent outside, golfing or gardening or biking or swimming, followed by an afternoon of online work, suit you? Would working via laptop from your ocean-front terrace on Ambergris Caye in Belize have its appeal? Or maybe working full tilt for 6 months, then taking a three-week break to travel on all four scenic trains through the Alps… journeying eastward on the Glacier Express to St. Moritz, then southward on the Bernina Express to Lake Como in Italy, then northward on the William Tell Express to Lucerne, then westward on the Golden Pass to Montreux on Lake Geneva. Have WiFi, can roam… Or have WiFi, can stay at home… These and many other choices will be yours. Dr. Carolee Duckworth is a retired educator and current author, recognized in the areas of career change, online learning, and online work. She has earned her own living online since the 90s and has provided guidance for thousands of others to do the same. Her recently published book, SHIFTING GEARS to Your Life and Work After Retirement, co-authored with Dr. Marie Langworthy, is available on Amazon and on the Shifting Gears website at www.ShiftingGearstoYourLife and WorkAfterRetirement.com. She is a contributor to Boomer-related publications, web sites, and blogs, and is available for interviews and workshops on Boomer retirement and career issues. Her degrees include a BA in Psychology from Duke, a Masters in Instruction Design from UNC Chapel Hill, and a Doctorate in Instruction Technology & Distance Education from Nova. 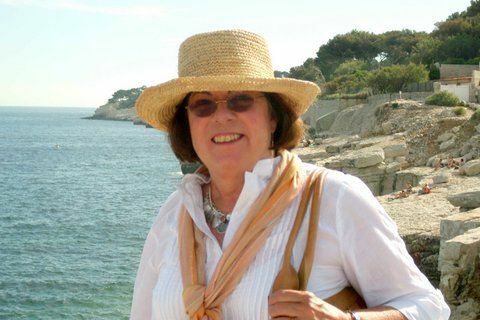 Carolee Duckworth is also in the process of authoring and publishing a series of unique travel books that provide all the guidance needed for a “Great Trip” made independently.